The Mountain Land Physical Therapy Holladay clinic provides physical therapy and rehabilitation services to residents of Holladay, Utah and the surrounding communities including Salt Lake City and Cottonwood Heights. The Holladay clinic is located downstairs, in the new Olympus Clinic family practice building. Finished in fall 2015, the new clinic features a spacious gym with state of the art equipment and private treatment rooms. This Holladay clinic takes an active approach in providing physical therapy to the local residents of the great town of Holladay. Because of our close relationship with the physicians upstairs at the Olympus Clinic, we can create a better environment of communication between the doctors and the therapists to make sure you are getting the care you deserve. In addition to providing a wide range of therapy and rehabilitation services, the Holladay clinic specializes in treating patients with jaw pain such as TMJ/TMD. TMD stands for Temporomandibular joint disorder and is usually characterized by pain in the jaw that may cause headaches, popping, clicking, difficulty chewing or ringing in the ears. If you are experiencing pain when you chew or any other jaw pain, it’s possible that you may suffer from TMD. Our specially trained TMJ/TMD physical therapists can work with you to identify the cause and help you get back to a life free of chronic jaw pain. 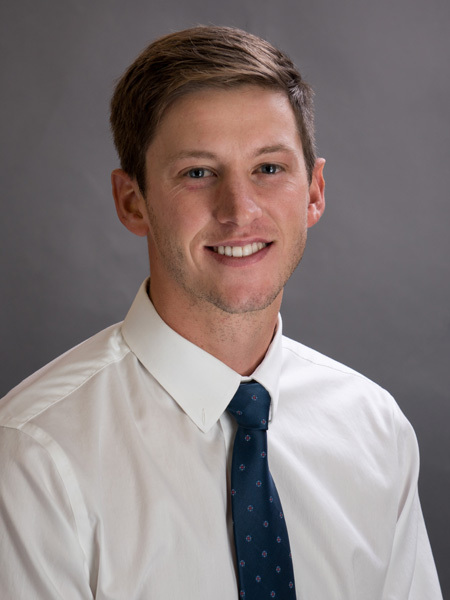 Brian grew up in Sandy, Utah and completed his undergraduate studies at the University of Utah where he obtained a Bachelor’s in exercise science with minors in nutrition and Spanish. 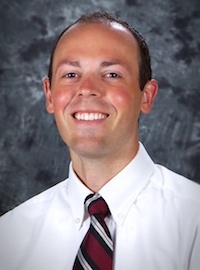 Brian graduated with his Doctor of Physical Therapy from ATSU in Mesa, Arizona where his program focused on manual therapy techniques and emphasized the importance of an evidence-based practice approach. Brian is fluent in Spanish and has additional experience in treating disorders of the Temporomandibular joint (TMJ). Brian is a proud husband and father of four children, a boy and three girls. He enjoys participating in water sports, namely knee-boarding, water skiing, and tubing. Brian enjoys running, and in training the injured athlete to return to running pain free. Shane earned his Physical Therapist Assistant degree from North Idaho College in 2016 before joining the Mountain Land Team. Shane enjoys utilizing manual therapy techniques and is excited to see the difference it can make for his patients. As a very active person, Shane was inspired to become a Physical Therapist after experiencing first-hand the impact an injury can make to one’s day-to-day life. He strives to make each patients time in therapy as positive as possible and enjoys helping them get back to what they love to do. When he’s not in the clinic, Shane enjoys being active and spending time outdoors playing hockey, golfing, snowboarding, skateboarding, mountain biking, and exploring new places to camp and backpack.